4 Easy Ways To Reduce Plastic Waste Today! We're In A Plastic Crisis - Here's 4 Simple Ways You Can Reduce Plastic Waste Today! Here are 4 of the Quickest Ways To Reduce Your Daily Plastic Waste! Nobody said living an "eco-friendly lifestyle" was going to be easy, but its time for a change! Single-use plastics are blended into our everyday lives, but simple changes can make a monumental difference in the environment! 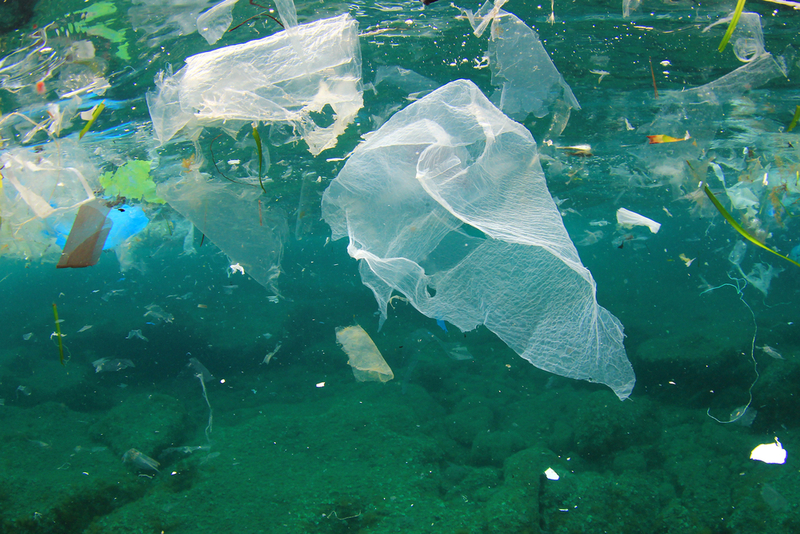 Our oceans are being drowned with plastics, here is how you can help! The kitchen is where over 80% of our plastic waste is produced. Things like produce bags, grocery bags, plastic saran wrap, and most packaging are just a few examples of wasted plastic. Large Companies have started to make the change, but the question is how can you help?! This article will help you realize where your plastic waste is coming from, and how you can reduce it everyday life! Grocery stores are completely filled with single-use plastics. The most common is the produce bags, every piece of produce is packaged with a disposable plastic bag. Sure it is convenient, but they are extremely harmful to the environment! We went to the grocery store and witnessed hundreds of plastic bags being dispersed in a matter of minutes. When grocery shopping on average people use around 3-5 plastic produce bags every trip. Plastic take over 1,000 years to decompose, once decomposed it turns into micro-plastics that NEVER fully disappear from Earth. 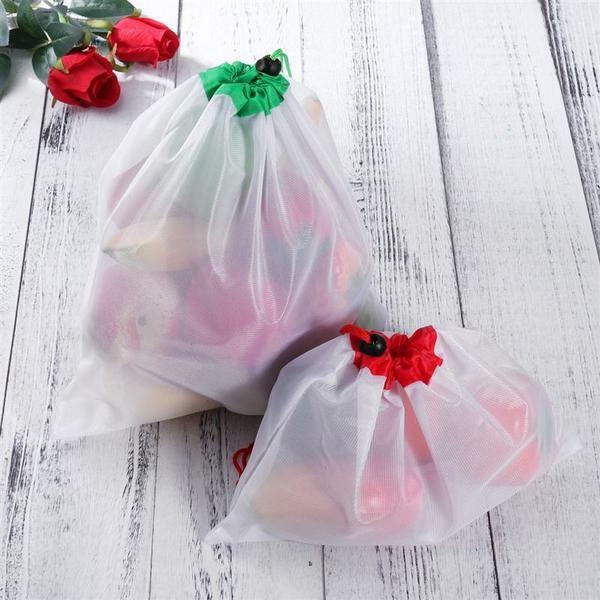 Reusable Produce Bags completely eliminate the use of harmful plastic produce bags, and are one of the best alternatives to eliminate plastic from your everyday life! These amazing bags are washing machine friendly, making it easy to keep clean and reuse them. Most people have the right idea but often forget the reusable bags at home. A simple and easy way to avoid forgetting is to leave some in your vehicle, this way even if forgotten at home, you have extras with you. Another benefit is they also keep your vegetables and fruit fresh longer, using a breathable mesh instead of suffocating them with plastic! The best part is that you can spread awareness every time you visit the grocery store, reducing plastic waste one bag at a time! The average family meal leftovers can produce 2-4 sheets of plastic cling wrap, used to store food. That's over 700 million sheets of plastic cling wrap per day in the United States alone! How can I reduce my cling wrap usage, you may ask? Reusable Food and Container Lids! These lids will reduce waste, and ensure an airtight seal for any container in your home. They are super easy to clean, just like any Tupperware or dinner plate, and are 100% Microwave and Dishwasher safe! Stretching the lids is effortless, making it a breeze to cover any size or shape of the container. Reusable silicone lids keep food fresh much longer by using an unbreakable airtight seal. They work great with Tupperware, jars, bowls, cups, bottles or any container! You can even wrap them around half cut fruit. Available in 6 practical sizes, these clear silicone lids are ideal for covering leftovers and can be kept in the fridge or left out on the counter. They will also keep bugs from spoiling your food while dining outdoors! They are the perfect cover for heating bowls in the microwave as a splatter screen. 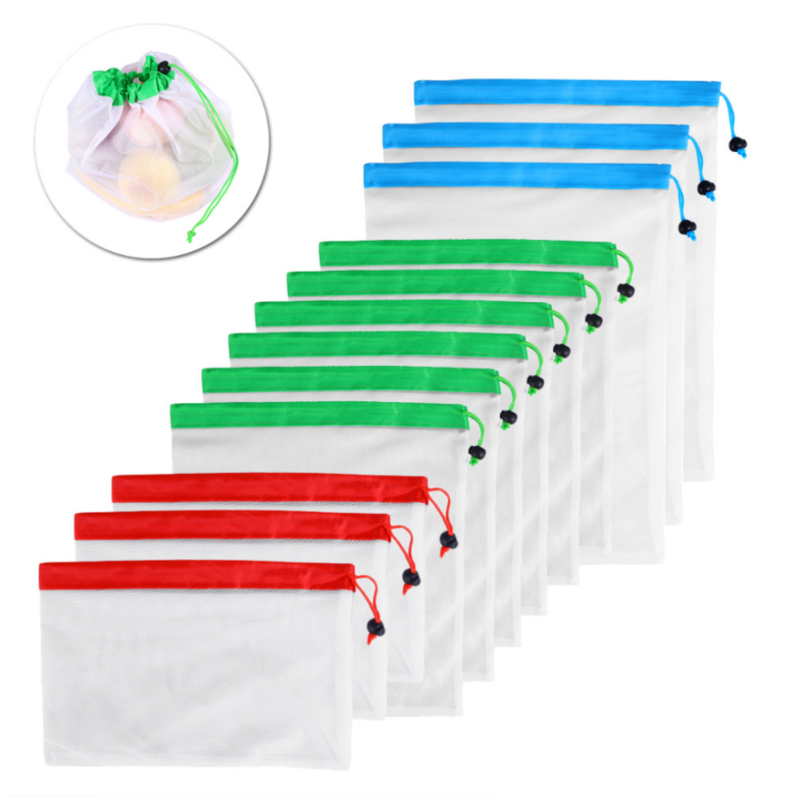 Ziplock plastic storage bags have hundreds of uses and are fast becoming the everyday storage solution for households. Although millions of these bags are used daily, recycling zipper-type plastic bags is not so easy. 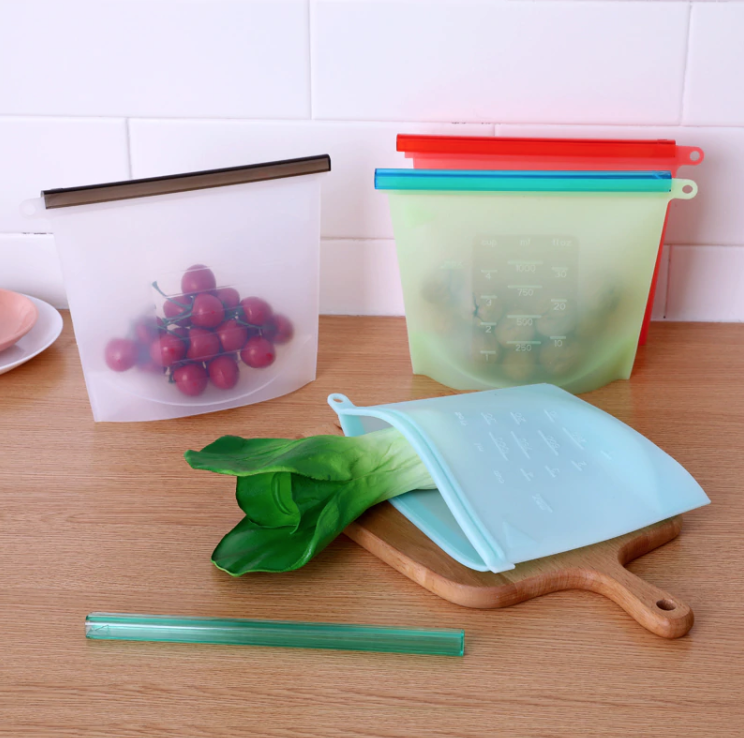 Reusable Food Storage bags are an amazing alternative! Each bag is large enough for practically anything, holding 1,000 ML (4 cups). They are dishwasher safe, plus microwave and freezer friendly! SiliconeFood Storage Bags keep your food fresh for much longer. The airtight seal makes the bags leak and waterproof. Best of all they're made of tough food grade silicone! Once you have these bad boys you will never need to spend money on single-use bags again. "It's only one plastic bag." - said 8 Billion People. Last but not least plastic straws are ruining the Ocean. Over 450 Million plastic straws are used DAILY in the United States. Each year 1 million seabirds plus 100,000 marine animals die from ingesting plastic, and this number is rising. Reusable straws are one of the most impactful ways to reduce plastic. Anywhere a drink is purchased a plastic straw is given. The first step to eliminating straws can be as simple as refusing them. Some restaurants and companies are even now banning the use of single-use plastic straws! 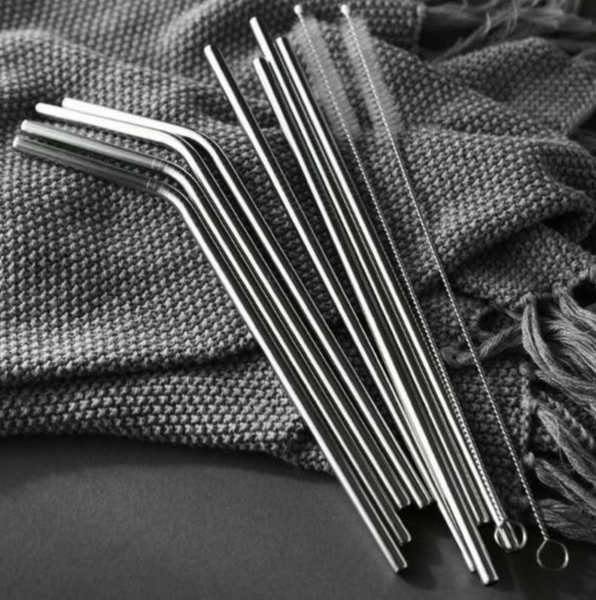 The way you can make a difference is to use Reusable Steel Straws! The straws can be kept in your purse, home, or car. 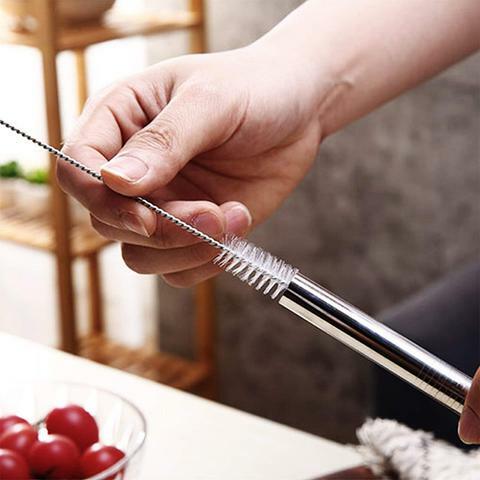 Steel Straws are easy to clean and come with brushes that reach all the way through the straw ensuring cleanliness. Not only are they eco-friendly, but they are also extremely comfortable to drink out of! To give you an idea of how much plastic we're producing; If everyone just in the United States alone were to ditch plastic straws, we would save over 100 MILLION TONS of plastic from our oceans each month. Over 90% of this plastic is not being recycled properly and makes it's way to our oceans. This is a step forward for our Earth that needs to be taken by every one of us, starting today. At the rate we're going there will be more plastic than fish in the Ocean by 2045! Spread awareness and obtain a Zero-Waste Lifestyle Today! There are countless different ways to reduce plastic waste, I hope this article has helped you identify how and where waste is affecting us the most. If you wish to take action today here is a link for a complete Zero-Waste package that will eliminate 90% of your kitchen plastics! Reusable Eco-Friendly Straws - 4pcs!